When you’ve got a Halloween party to attend, chance are you want to find a unique costume that no one else in the party will have. That isn’t always easy when pre-made costumes are available to everyone! And if you don’t have the skills or money to get a custom costume made from scratch, it’s even harder to guarantee your costume will be one of a kind at your party! 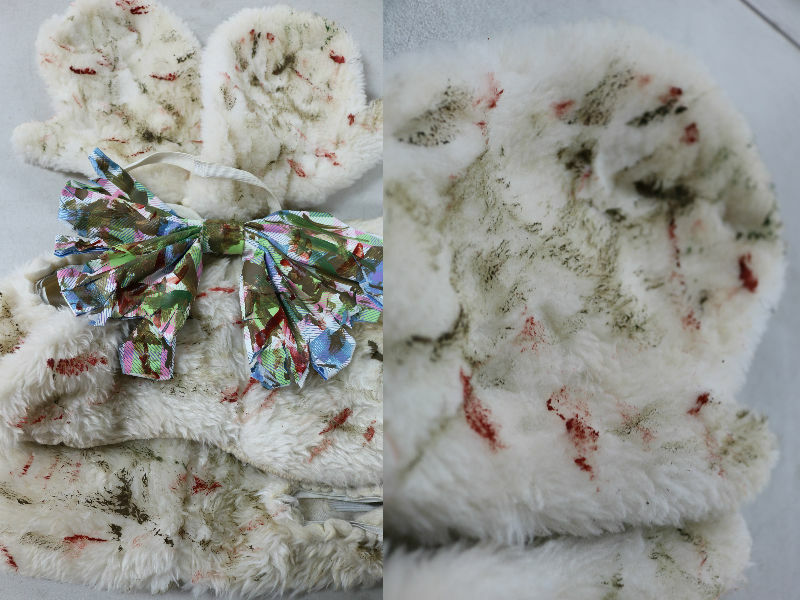 Luckily with the right supplies, you can turn any costume into a terrifying zombie costume! For this tutorial, I decided to take a random costume of ours and turn it into something fit for a horrifying Halloween! To guarantee you have a unique costume, don’t stick to only the Halloween section. No matter what you choose it will transform into a scary costume fit for the holiday! Think out of the box and look at costumes from other holidays such as Christmas, Easter, and St. Patrick’s Day! If you’re on a budget, you may even be able to get these costumes at a discount due to it being off season. Or plan ahead for Halloween and buy these costumes at the end of the holiday when they usually go on sale! Maybe you already have an old Santa costume that you don’t plan on using again. 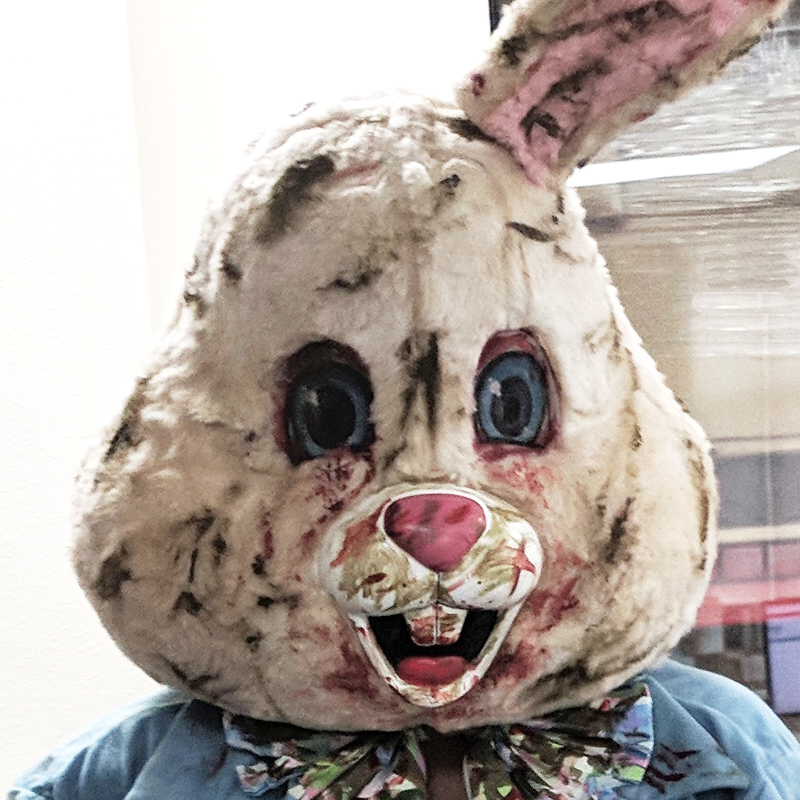 I chose to take the Easter Bunny, already notorious for scaring children, and make it even scarier! 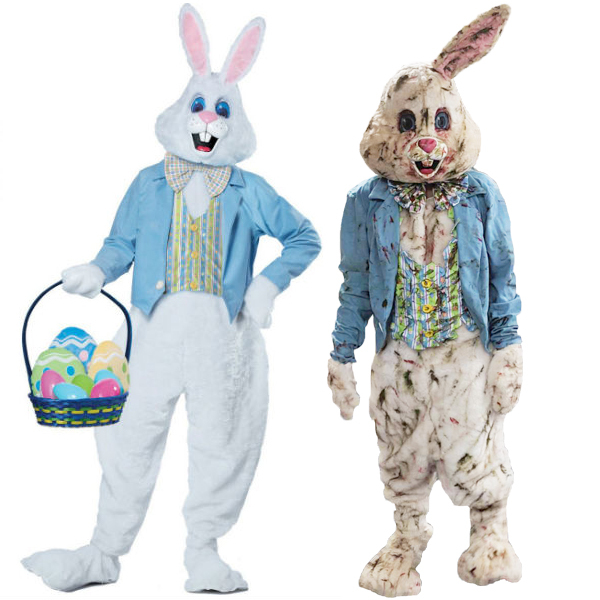 I figured our Deluxe Easter Bunny Costume would be perfect for the job. Step 2: Age it with Tea! If you’ve ever watched a zombie movie or show, then you know that zombies aren’t clean. The first step is to take that brand new, pristine costume and make it look dirty! Now you could go outside and roll around in the dirt but luckily there’s a cleaner option that won’t look weird to your neighbors. Black tea has been used by costumers for ages to give brand new fabric that old, aged look! 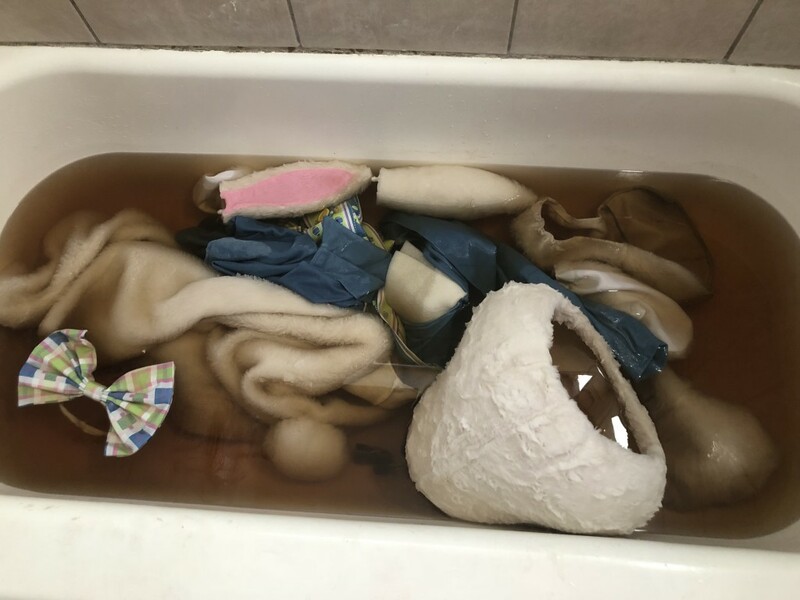 This method works best with cotton, silk, and linen, but with a little more tea and a little more soaking time, I was able to make it work for this Polyester costume! First brew a large pot of 25 bags of tea, but make sure it’s black tea! While that’s brewing fill your bathtub with enough hot water to fully cover the costume. Chances are, your tub isn’t deep enough to cover a mascot head so just fill enough water to completely cover the body and accessories! 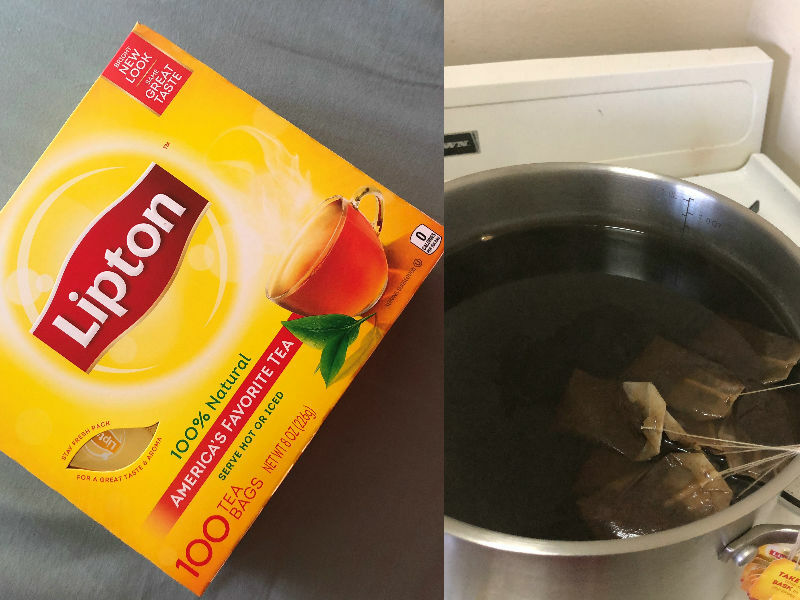 When the tea is done, pour the pot, teabags and all, into the tub. Then toss in your costume and let it soak! I let mine soak for an hour. The water wasn’t high enough to cover the bunny head, so every 15 minutes I came in and rotated it. After half an hour of soaking, I took a few the tea bags and squeezed them over the costume pieces to create a few darker, spotty stains. Once it’s done soaking, dry it! If you have easy access to a washing machine you can throw the costume and soft piece in there on the spin cycle to get all the water out. Remember DO NOT RINSE THE COSTUME. If your costume is a synthetic fabric like polyester, it doesn’t hold on to the tea color as well. Rinsing it will undo all your work! To dry mine I wrung all the water out and hung it over my shower curtain rod and left the ears and head (on it’s side) in the tub to dry. The body of the costume is not easy to get all the water out so I had to put a bucket underneath to catch the drips. After about 24 hours, the costume was completely dry! The result was a subtle, yellowish tint to the fur. 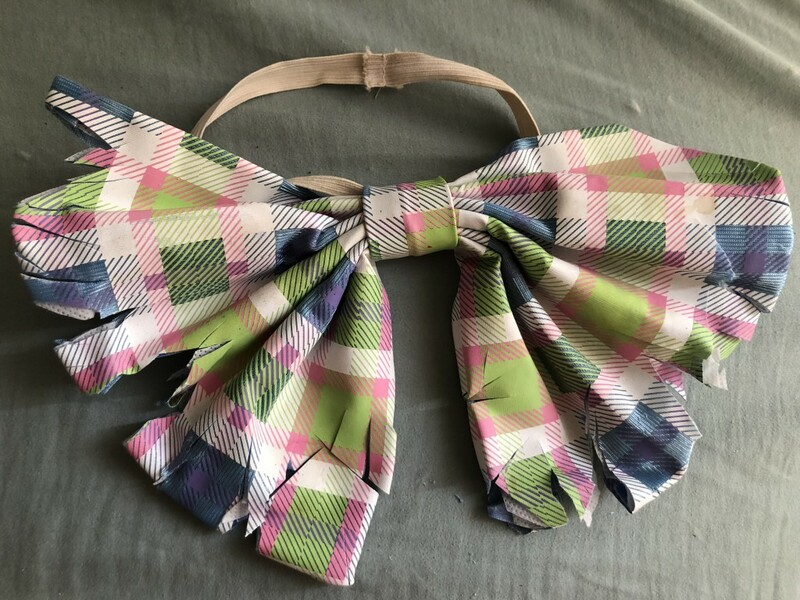 The bunny’s nose, mouth, bow tie and vest didn’t absorb any of the tea because of the material. I would definitely need to focus on making them look gross in the next step! Step 3: Make It Dirty! Now that your costume looks old, it’s time to make it more zombie like! I decided to go for the “rose from the dead” zombie look rather than the “infected creature” zombie look. 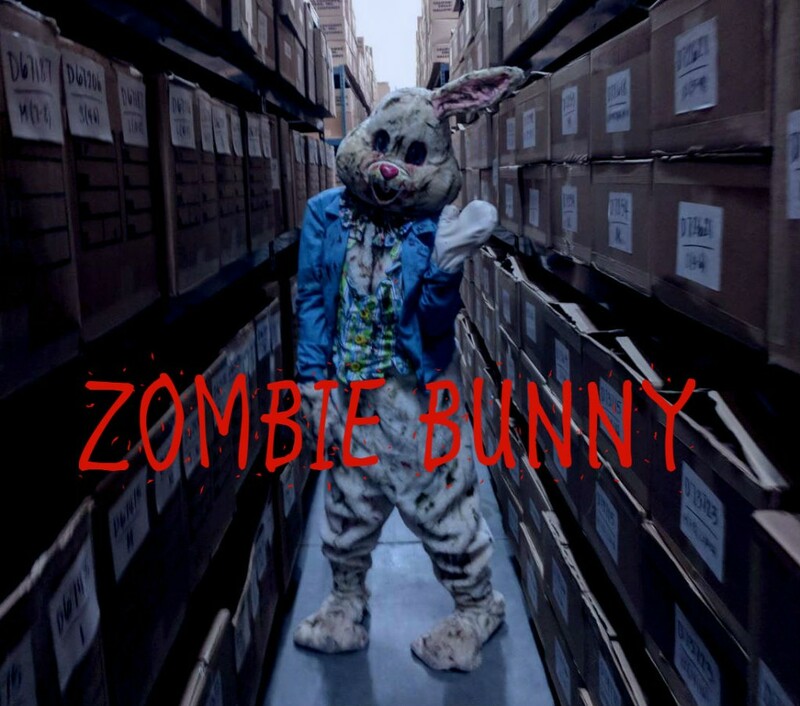 To get that look this zombie bunny to look like it clawed it’s way out of the ground! I figured rips and dirty grass stains would do the trick! I ended up using scissors only on the bow tie and vest as any other rips would expose my skin under the costume. To create fake grass stains, I mixed together Folk Art Acrylic paint in colors Hunter Green and Coffee Bean. To get the perfect grass stain to dirt stain ratio, don’t completely blend the colors together. Most of your mixture can be brown, but it’s good to have a few streaks of green. I used a paint brush and went crazy! Make random streaks all over the costume and have fun with it! 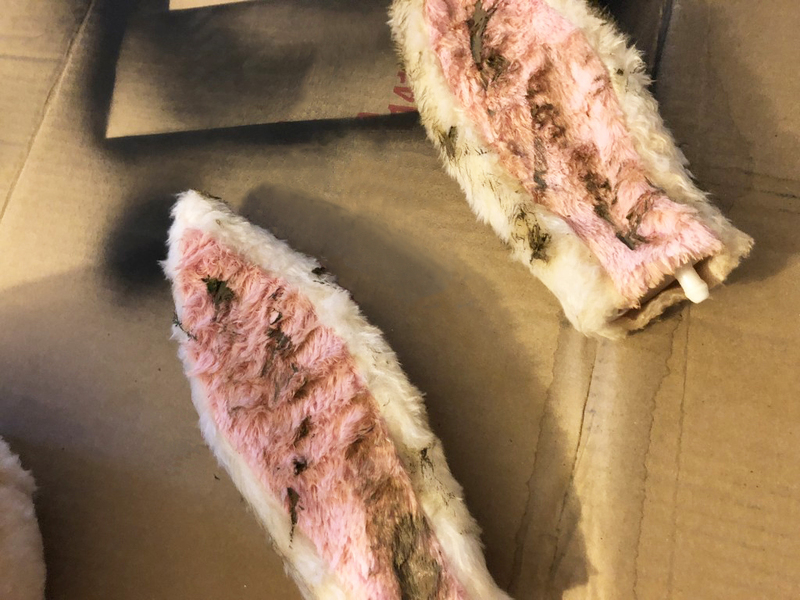 The costume will look dirtier if you go against the fur so it’s standing up. 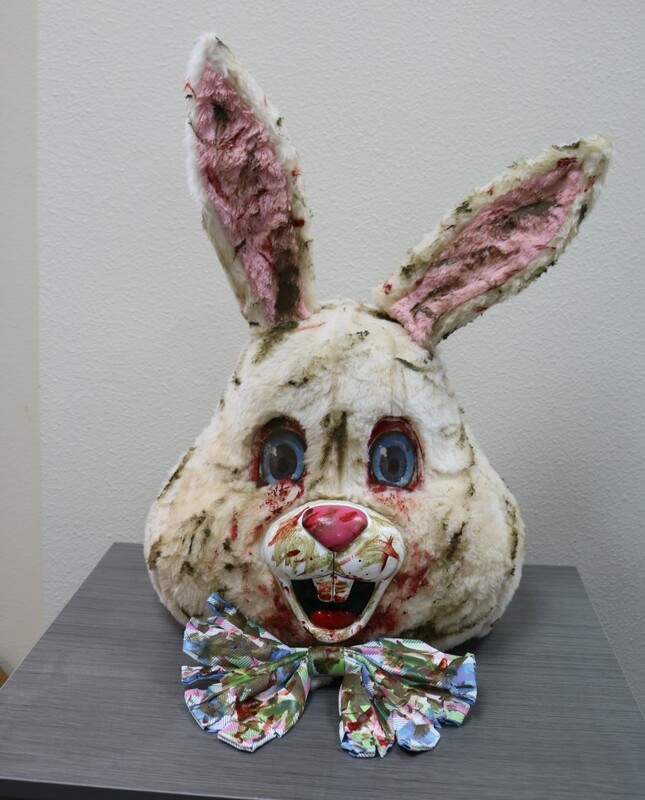 Turn that bunny into a gross, gory zombie! I put streaks of blood all over the costume, but focused it around the face and shirt front for that “been eating flesh” look. For this step I used a tube of fake blood and a paint brush. However, a bottle of spray blood may be easier for the body of the costume. Dark red acrylic paint will work as well. 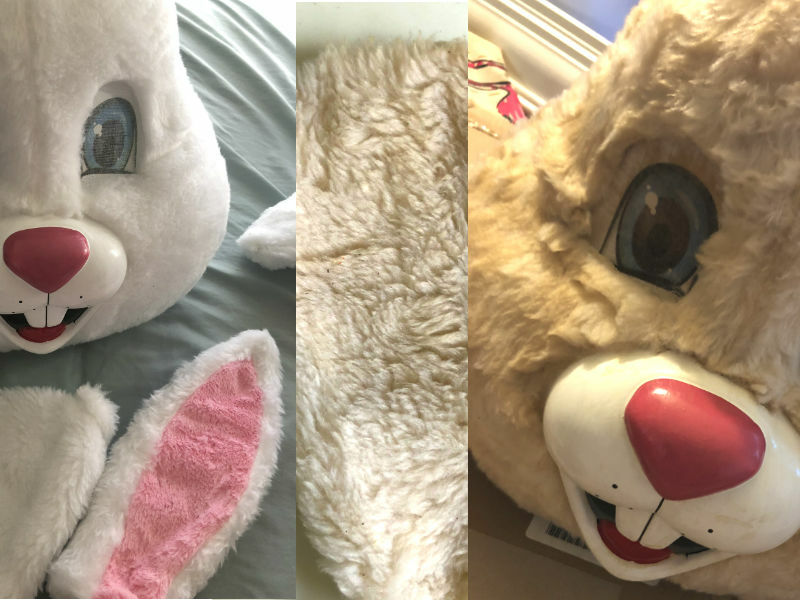 Be sure to paint red on the whites of the bunny’s eyes to make them look bloodshot and terrifying! This costume is a cool, fun, yet inexpensive way to take any costume to the next level! 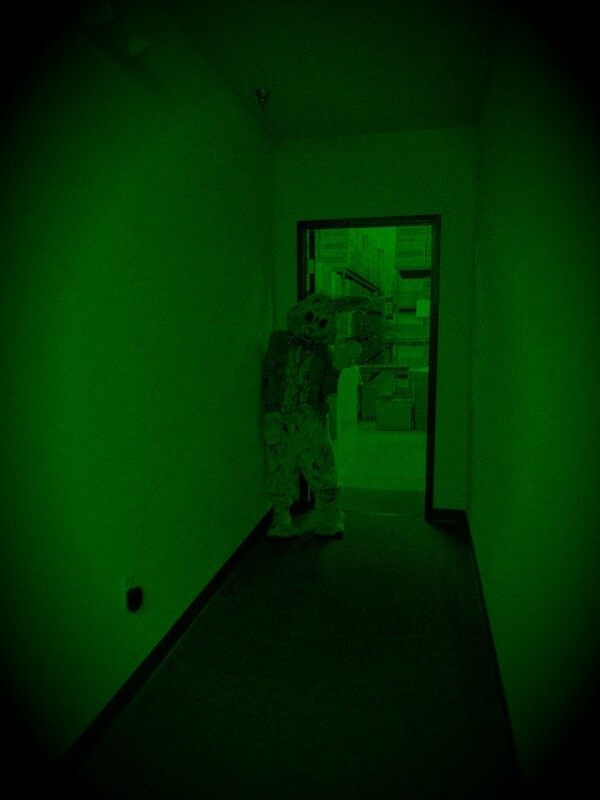 Now you’re ready to scare your friends, take some creepy pictures, and have the most talked about costume at the party!